The View Bell Large 3 is a contemporary three-sided gas fireplace, perfect for building in and combining into furniture. The premium flame with the realistic wood logs are the ideal finishing touch for this three-sided gas fireplace. 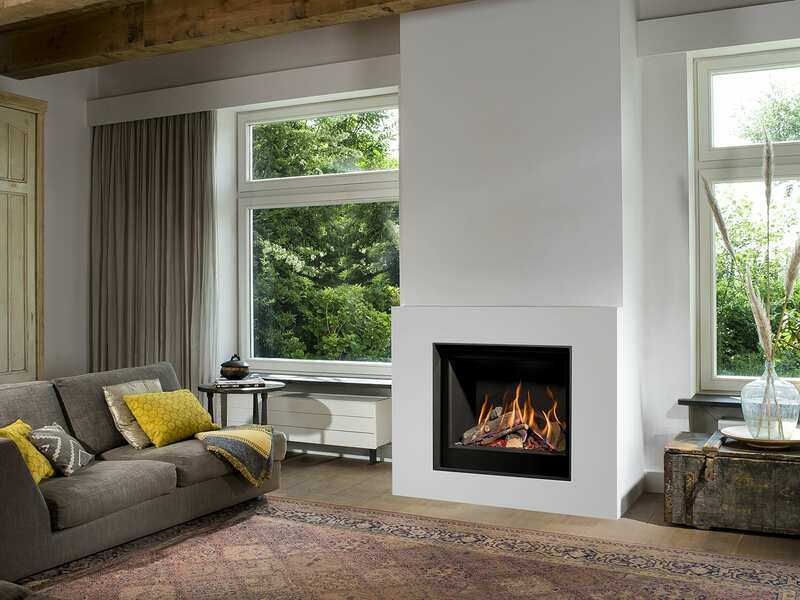 Bellfire gas fires offer large heat output, premium realistic fires and remote control as standard. A huge range of gorgeous additional features are available as well as a huge range of frames on the majority of fireplaces. 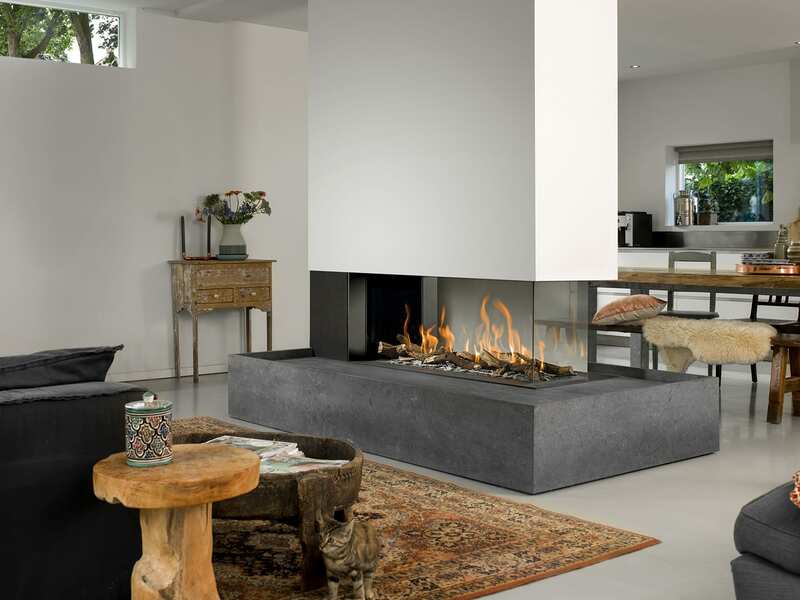 These highly efficient gas fireplaces offer the most realistic flame pattern, with the frame having a minimalist, sleek and modern look to them. The View Bell Large 3 Gas Fireplace offers a stylist fireplace with a view from three sides, with the premium flame replicating the a real flame perfectly. 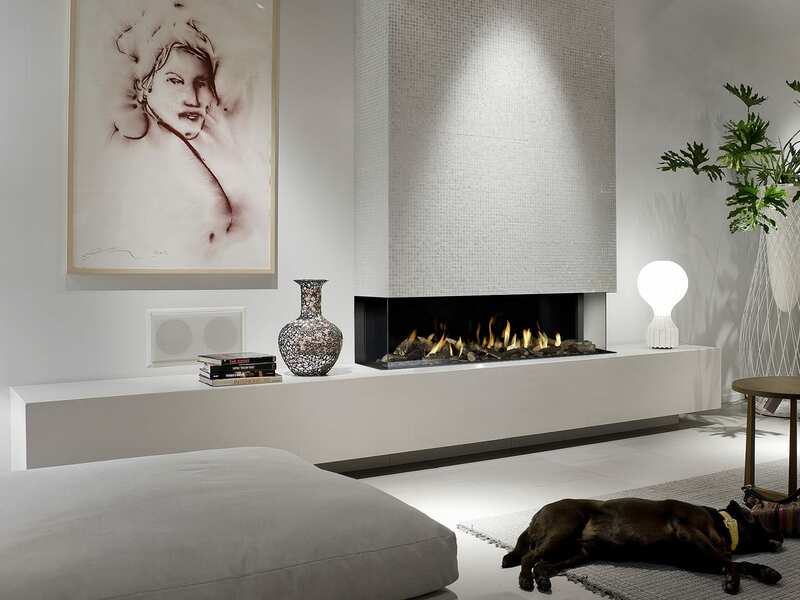 The sleek three sided gas fireplace is the perfect for building in and can easily be combined with the television or furniture.